As much as I love the latest Disney or DreamWorks animated film, I get equally excited when I find smaller animated gems that I can champion. Last year I loved Son of Bigfoot and A Silent Voice. 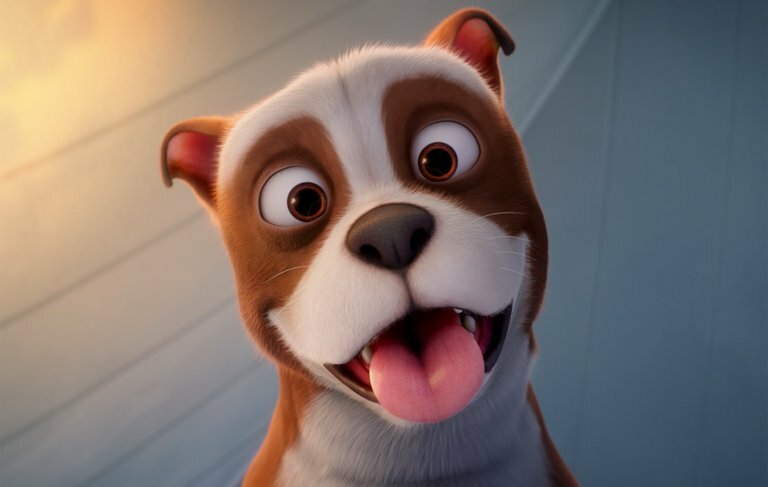 This year I loved Isle of Dogs and now the adorable Sgt Stubby: An American Hero . I hope you will seek out this heart-warming film and show the creators the love it deserves. Sgt Stubby: An American Hero tells the story of a real life dog in World War 1 that became the first dog given rank in the United States Armed Forces (he even outranks his human counterpart in the film who is a Corporal!). Stubby starts out as a stray dog who wanders into the boot camp and becomes the squadron mascot even getting an official dog collar. 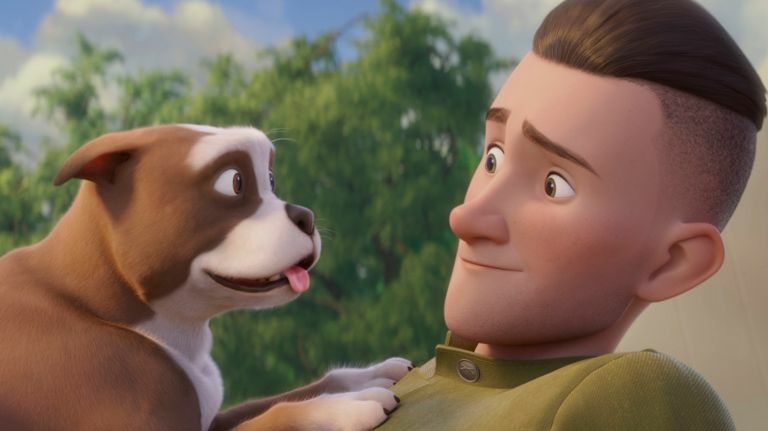 Such a sweet story could be cloying but the script co-written by director Richard Lanni does a good job riding the line of an honest kid-appropriate portrayal of war and the antics of an adorable dog. One of the best things they did to help make it work is they do not have Stubby talk. What a refreshing choice! There is no narration telling you what the dog is thinking or anything. He’s just a normal sniffing, eating, chasing balls dog, which is so much more effective than if it had been even slightly anthropomorphic. They also forgo the temptation of putting wacky side characters and have more natural humor. Some might claim a film like Sgt Stubby sanitizes war, but I don’t think so. Yes, there is no blood, but there is loss and tension, and I can see it being a good jumping off point for family discussions. It felt emotionally true in its depiction of war and that’s what matters most. There is even one scene where the narrator (the soldier’s sister voiced by Helena Bonham Carter) says rather bluntly “I could never understand why the soldiers had to…..” Her concern is not answered and made right because that’s the way war is. There are a lot of cruel unanswered questions in war and this film does not shy away from that reality. I also appreciated that the voice cast was not distracting. I suppose you could say Logan Lerman, Helena Bonham Carter, and Gérard Depardieu are celebrity voice actors but it did not feel that way. They felt like the right people for the roles. Some might also complain that the human characters look a little plasticy but it didn’t bother me. I thought the rendering and animation throughout was very solid and well done. 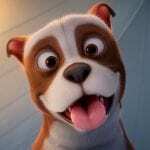 They also do a good job in Sgt Stubby: An American Hero of avoiding nationalistic propaganda. This is not a ‘ra ra ra America is the best’ movie. There is patriotism but the French, and even the Germans on occasion, are portrayed with respect and honor. One soldier is German-American, and you see the struggle he goes through trying to fight for his country while sounding like the enemy. Again, another sign of a carefully constructed script with a ton of heart. I was very impressed by Sgt Stubby: An American Hero. I hope you seek it out and support it with your box office dollar. It’s especially relevant given 2018 is the 100 year anniversary of the end of World War 1. What a tremendous opportunity to teach children about history and have an enriching, emotional experience together. I can’t recommend it highly enough.